Eso me recuerda a esa lista de Las 10 Mas Enfadosas e Inescapables Rolas NavideÃ±as. Y en especial con eso de que la empiezan a poner desde Junio. Hahaha, that’s true (on both things). Hahaha, that’s a good technique to both not having to be joyful on December and confuse the hell out of everybody the rest of the year. Hahaha, exactly! At least they found a way to be happy by complaining. Jajaja, si, lo malo es que tengan que atender clientes y evitar quejas de los mismos porque noe staba prestando atencion. 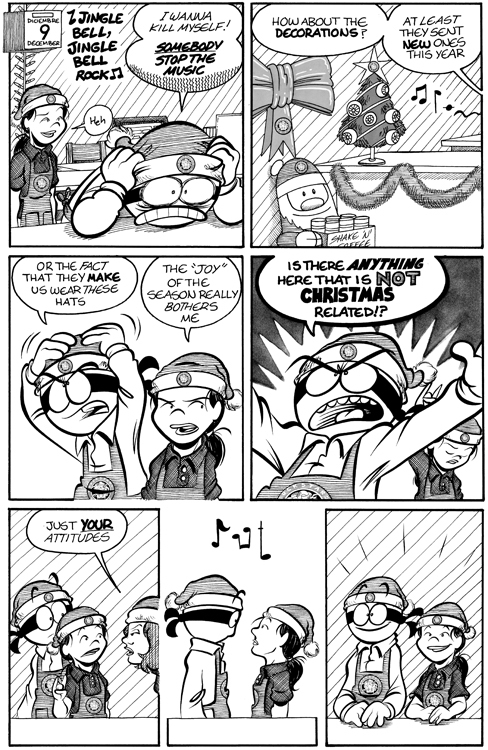 Actually, their attitudes are right into season…. More than right, provequed to be season related now a days, heheh.